W Hotels Worldwide has announced the opening of W Dubai – The Palm, located on the Palm Jumeirah, the largest man-made island in the world. The breath-taking design of W Dubai – The Palm celebrates the evolution of one of the most dynamic cities in the world, seamlessly juxtaposing the organic, natural curves of sand dunes and coastline with the marvel of the geometric lines of the city’s skyscrapers. It begins with the hotel’s iconic ‘W’ sign patterned to resemble an evaporated desert river bed and the Wheels (valet) area reminiscent of a falage, a cavernous riverbed covered by palm fronds. Leading guests into the hotel is a stunning display of Orsoni glass tiles in colours inspired by overgrown foliage which reflect the golden sun on the horizon. Completing the dramatic entrance is The Soundwave – a 6.5 ton, 30-metre-long visual vector that represents a W sound wave. With 640 glass pieces, the towering fixture puts on a show of its own, illuminating in alternating intensities and colours to reflect the beats of the DJ in the neighbouring W Lounge. An artistic interpretation of a traditional fire pit sits in the centre of the W Lounge, signifying the bonfires that Bedouin tribes would gather around during their desert travels years ago. Connecting the W Lounge to the nearby VIP Lounge is a 13.5-metre sofa in muted earth tones, representing a desert mountain range – the skyscrapers of the past. 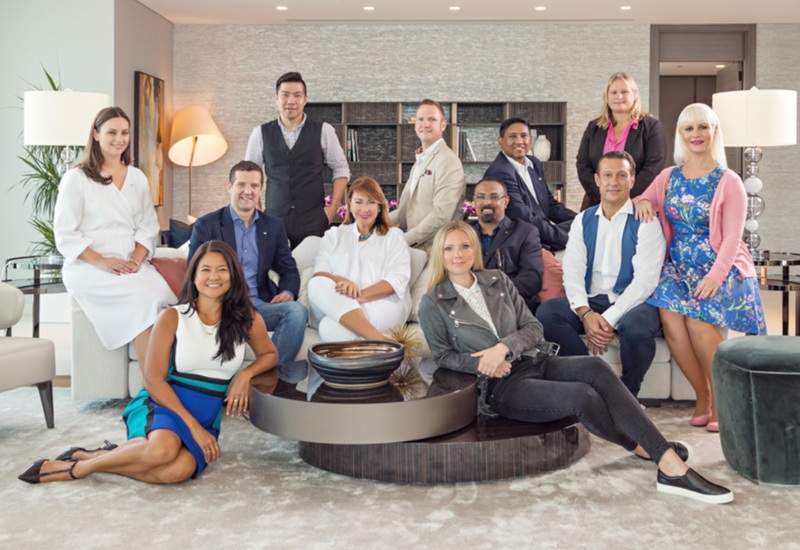 “We are excited to bring the W brand to Palm Jumeirah with the highly anticipated opening of W Dubai – The Palm,” said Alex Kyriakidis, president, Middle East and Africa, Marriott International. All 350 guest rooms and suites offer uninterrupted views and dreamy amenities. Curved walls are intricately tiled to glisten like the lights and colours of the sea at various times of the day, bringing the shoreline into each room. Modern graffiti adorns the walls of every room, featuring lyrics in Arabic from an iconic song by Lebanese singer, Fairouz. 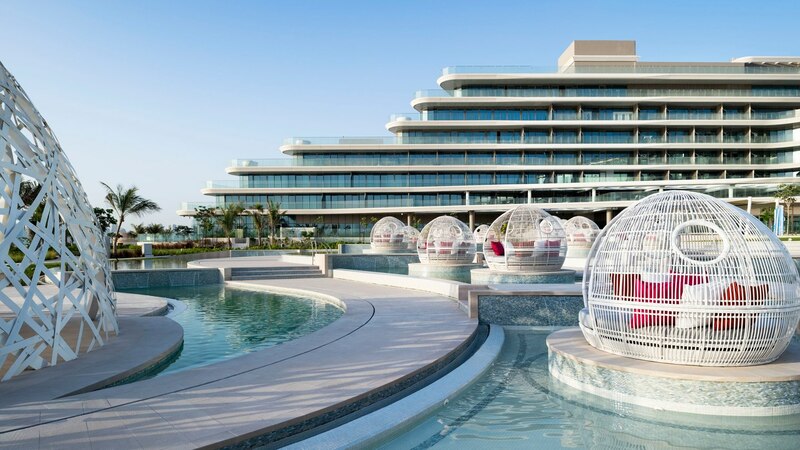 After checking in, guests can check out the incredible amenities of W Dubai – The Palm, including the hotel’s multiple pools that sit in a wave-like pattern in the centre of the Escape to form the W brand’s iconic Wet Deck experience directly facing a fabulous beach with views of the Dubai skyline. Here, guests can swim, soak up the sun and enjoy signature beverages while listening to live DJ performances. The W brand’s signature Away Spa offers ten treatment rooms, a steam room, sauna, experiential showers, a hammam and a couples’ suite. 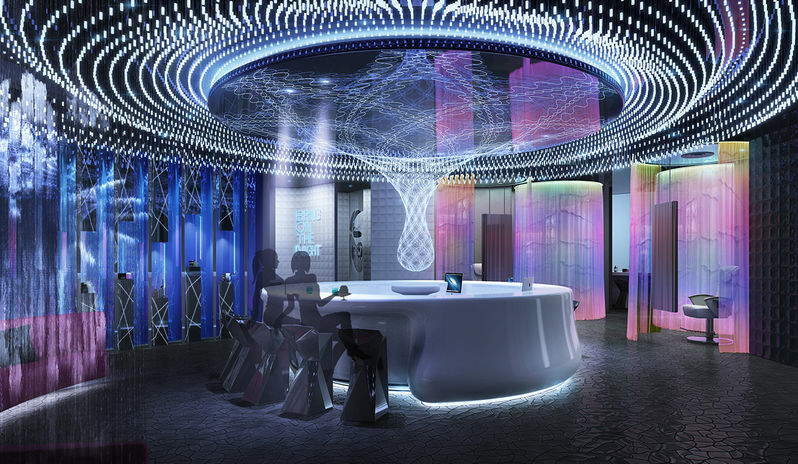 W Dubai – The Palm adopts a bold approach to take events from ordinary to extraordinary. Featuring over 2,000 square meters of event space, W Dubai sets the stage for any elaborate occasion. The sprawling 1,215-square-meter Great Room boasts an extraordinary oval shape, sensually designed with rotating walls letting in (or blocking out) the dazzling Arabian sun. Custom lighting features allow W Dubai to personalise each event, lighting up the scene with a myriad of colours. The Green Room serves as a holding area for events and weddings and features light pendants reminiscent of wedding bands and carpeting adorned in henna-like patterns. W Dubai is currently nominated for the title of Middle East’s Leading New Hotel at the prestigious World Travel Awards. Voters can cast their ballots here until March 17th. Dubai itself is also recognised as the Middle East’s Leading Destination, with the Dubai Department of Tourism & Commerce Marketing having picked up the respected trophy in 2018.